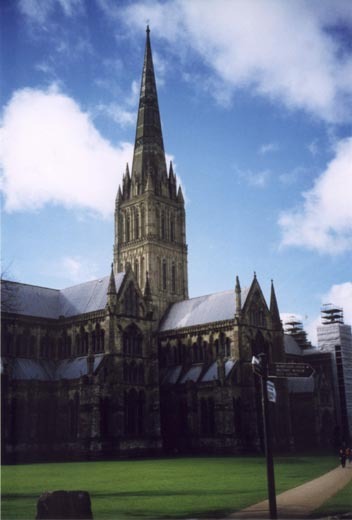 This is the cathedral at Salisbury which was built (and completed) during the 13th Century. The steeple was built in three stages. After the initial construction, it was decided that it wasn't high enough, so the first addition was made. This still wasn't high enough so the steeple was added. Unfortunately, this proved too heavy for the supporting beams inside the church and they started to bend. So, a bridge had to be made inside in order to further support the beams.